This shirt with short sleeves will give you a modern and elegant style during spring and summer. 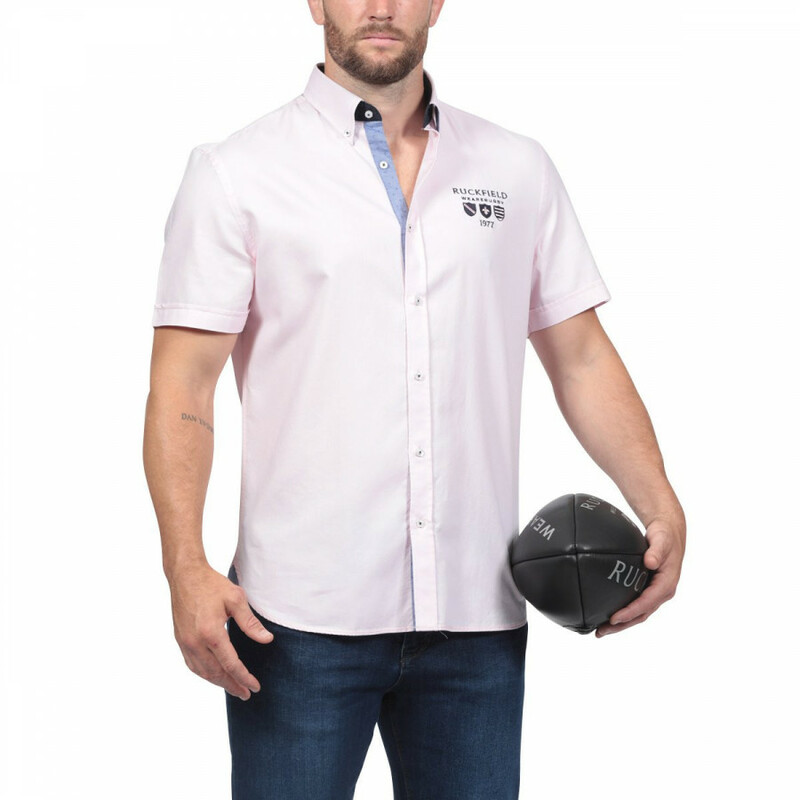 This summer and spring pink cotton shirt will give you an elegant style. It holds subtle details: embroidery on the chest and on the back with the number 8. Straight cut. Point collar, button tabs with contrastedlapels with a modern printed fabric. Finishing touch : rounded base and plain colour on the back.